As teachers of unconditional love they have few equals. As examples of intelligence, good heartedness and dependence upon us, they are right up there with most children. How many of us can claim such achievement? The Animal Kingdom Foundation of Compassion, Care, and Concern (AKFCCC) invites you to take a moment and appreciate all that your pet does for you. How do you show your gratitude? Extra food treats? Buying expensive toys or the highly marketed more expensive brand of food in the supermarket? Cute outfits? Doggy day out, either for a run in the park or to attend a pet makeover? When was the last time you actively sought additional education on the proper care and feeding of your favorite four-legged family member. This can be done from the privacy of your own home via books from your local library or through the miracle of the internet. It can also be done by visiting your local veterinarian at least twice a year for preventative check-ups and availing yourself of their expertise and advanced knowledge when it comes to issues of how to really improve the life of your faithful pet. When you consider how much we spend buying over marketed products that make no real difference to your pet’s actual quality of life or overall and long-term health, this may actually save you money. Even if it doesn’t, aren’t they worth it? 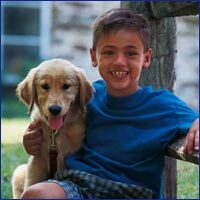 Read this article from PreventDisease.com and then decide just how much compassion, care and concern our pets really warrant. In a recent survey by the American Animal Hospital Association, 57 percent of pet owners indicated that if they were stranded on a desert island, they would prefer the company of their pet to another human. Simply put, it makes us happy to experience the wagging tails, enthusiastic greetings, amusing antics and utter devotion of our pets. And research demonstrates that, on average, pets help keep their owners healthy and active. Some insurance companies have even started offering lower life insurance rates for pet owners. There is very good evidence that pets have a positive impact on a number of health conditions. A study published in the April 1999 edition of the journal AIDS Care found that people with AIDS who have pets are less likely to suffer from depression than people with AIDS who don't own pets. Several studies have also demonstrated that pet owners tend to have lower cholesterol and blood pressure levels than non-pet owners, and are therefore at a reduced risk for cardiovascular disease. Research also indicates that pet ownership increases the odds of survival for people who have had a heart attack. A study published in the American Journal of Cardiology in 1995 found that dog ownership in particular increased the likelihood of surviving after a heart attack. Pet ownership also offers many benefits to older people. A study published in the March 1999 Journal of the American Geriatrics Society showed that senior citizens who own pets are less likely to be depressed, are better able to tolerate social isolation, and are more active than those who do not own pets. And these increased levels of activity are not explained solely because dog owners take their dogs for walks. Cat owners are equally active.